It’s official: you have sleep apnea. Your doctor has given you the diagnosis, and now you can finally explain to your partner why you sound like a buzz saw when you snore. Yet, what do you do now? You know you have sleep apnea, but what can you do about it? We’re offering these 5 treatment options to help improve your health and get better sleep! Have you noticed gaps in your memory? Do people’s names or the location of your childhood home sometimes seem to slip your mind? If you’ve noticed any of these symptoms or something similar, and you snore at night, there could be an underlying problem in the Woodlands – sleep apnea. As you read on, you’ll learn how the condition can have adverse effects on the function of your brain if not treated. A serious condition that over 18 million Americans are suffering from is sleep apnea, which deprives them of the rejuvenating properties that normally come along with getting a proper night’s rest. To receive treatment, though, requires that a person first visit his or her physician to undergo a sleep study. What are the warning signs that it’s time to seek treatment, though? Read on to find out. 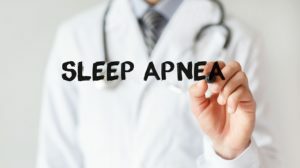 A condition that is becoming more prevalent among Americans is sleep apnea, which refers to frequent lapses in breathing that can occur throughout the night. The main form of the condition is Obstructive Sleep Apnea (OSA), which is caused by a partial blockage of the airway. One of the methods for treating the condition is to use oral appliances. Read on to learn about two different types of devices, how they function and the pros and cons of using them. For people suffering from sleep apnea, getting the benefits of a good night’s rest alludes them. A sleep dentist can help by providing effective treatment. There are some situations, though, when more than one form of care is needed. So as you continue reading, learn how combined therapy works to tackle the more acute cases of sleep apnea. Have you been told that you snore loudly or make gasping sounds while you sleep? If so, there is a chance that you have sleep apnea, a condition that affects over 22 million Americans. Before receiving treatment, though, it’s important to be properly diagnosed. One way to start the process is with at home sleep testing, but is this a reliable method? Read on to learn about its pros and cons. Failing to get a good night’s rest is detrimental to a person’s overall health. One of the main contributors to this problem is a condition called sleep apnea, which over 22 million Americans suffer from. Sleep apnea doesn’t just affect sleep cycles, though. Your dentist says there are 7 other major health problems that can arise from this condition. As you read on, you’ll learn why receiving sleep apnea treatment is so vital to your health. Being tired is something that happens to all of us, and a cup of coffee or a nap will usually solve the problem. However, sleep deprivation is much more serious. This issue occurs due to weeks, months, or even years of inadequate sleep. While spending one or two days feeling sleepy is uncomfortable, serious sleep deprivation has much more severe consequences. If you’re concerned you may be suffering from sleep deprivation, it’s important that you seek appropriate help. In some cases, the causes of sleep deprivation can be addressed with help from your caring dentist. When is Snoring More Than Just an Annoyance? Many patients visit us who believe that loud, chronic snoring is just a harmless annoyance. For some people, it really is that simple, but for others, snoring can be a side effect of more serious health concerns, including obstructive sleep apnea. In this post, we’ll discuss some of the potential health conditions that are associated with snoring and when you should let our team or a medical doctor know about your snoring. Comments Off on When is Snoring More Than Just an Annoyance? Sleep apnea is a disorder that causes numerous pauses in breathing while sleeping due to the airways in the throat collapsing. It is estimated that as much as 50 to 70 million adults in the United States remain undiagnosed because many people fail recognize the symptoms because signs of the disorder can take many different forms. Without the right treatment, it can produce serious health complications while also decreasing your quality of life. If you suspect that you have sleep apnea in the Woodlands, there are 5 key signs that indicate that you need to undergo a sleep study.